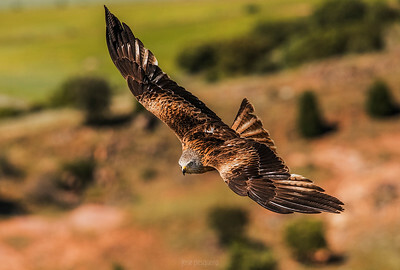 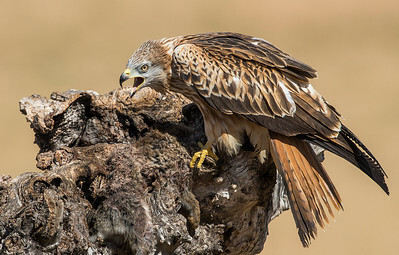 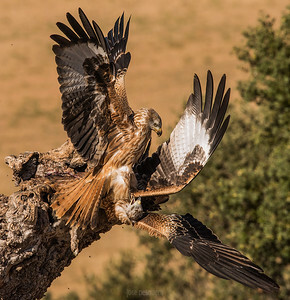 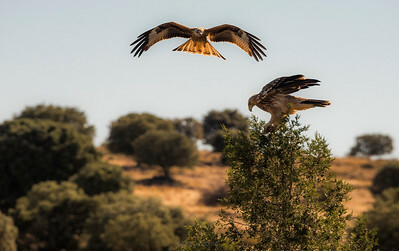 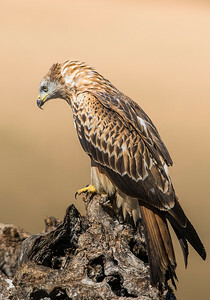 The Red Kite (Milvus milvus) is a medium-large bird of prey in the family Accipitridae, which also includes many other diurnal raptors such as eagles, buzzards, and harriers. 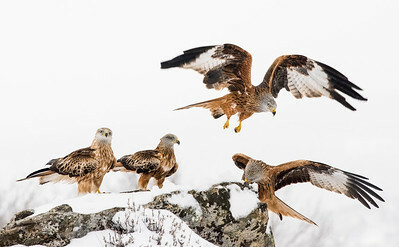 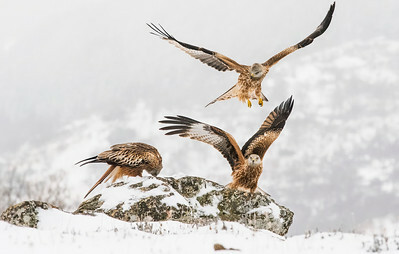 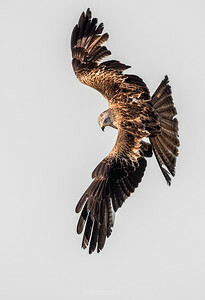 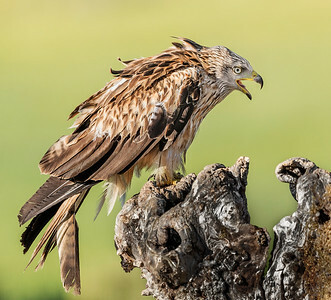 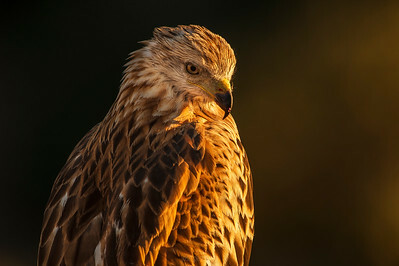 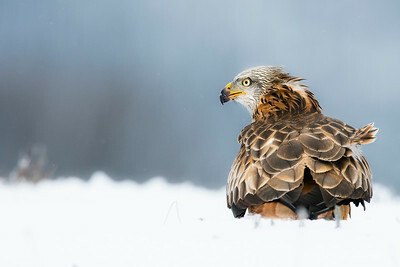 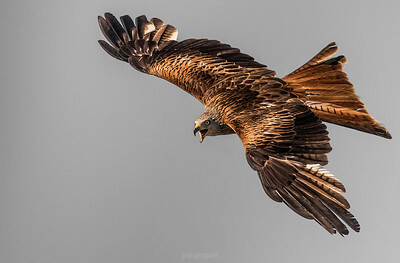 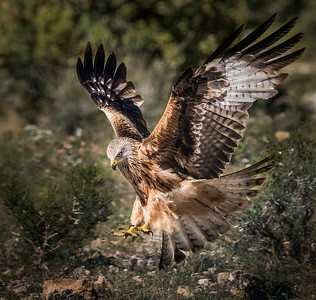 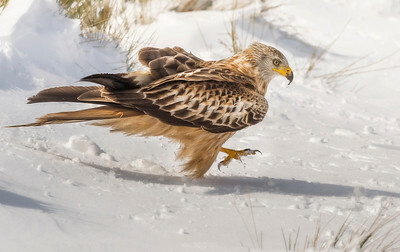 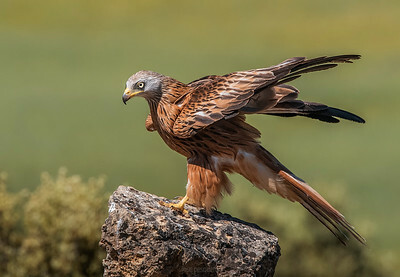 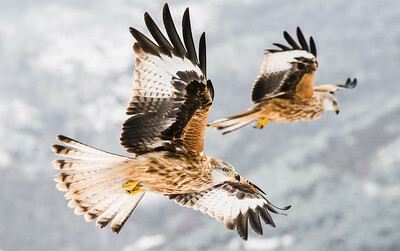 The Red Kite is 60–66 cm (24–26 in) long with a 175–179 cm (69–70 in) wingspan; males have a weight of 800–1,200 g (28–42 oz), and females 1,000–1,300 g (35–46 oz). 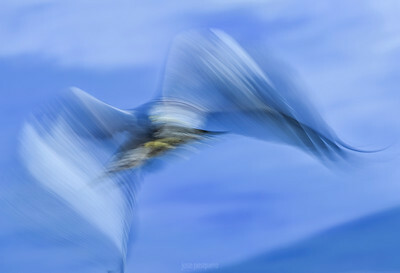 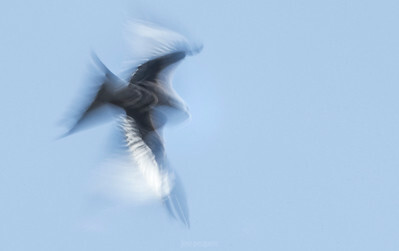 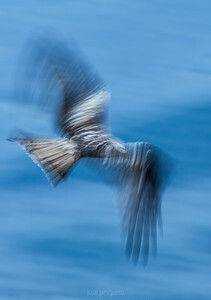 It is an elegant bird, soaring with long wings held at a dihedral, and long forked tail twisting as it changes direction. 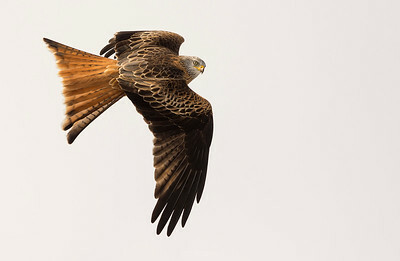 The body, upper tail and wing coverts are rufous. 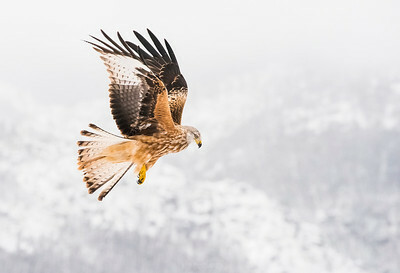 The white primary flight feathers contrast with the black wing tips and dark secondaries. 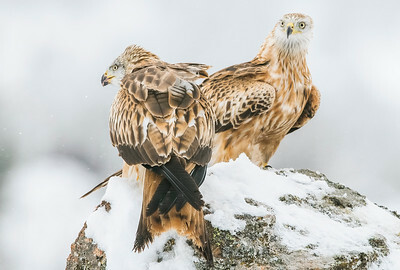 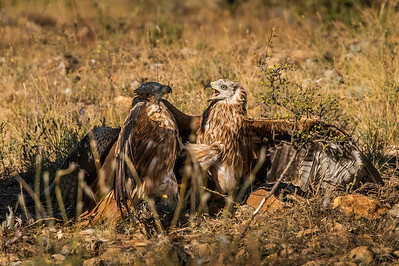 Apart from the weight difference, the sexes are similar, but juveniles have a buff breast and belly. 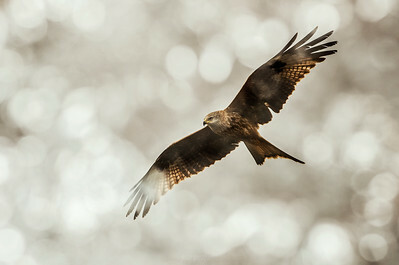 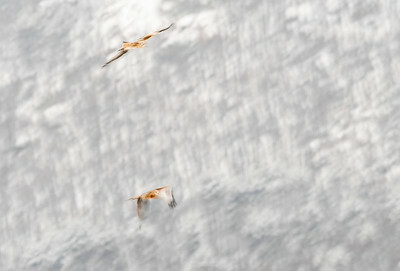 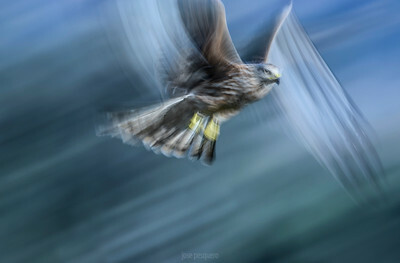 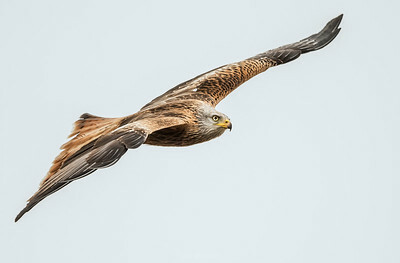 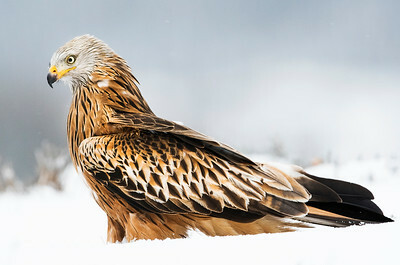 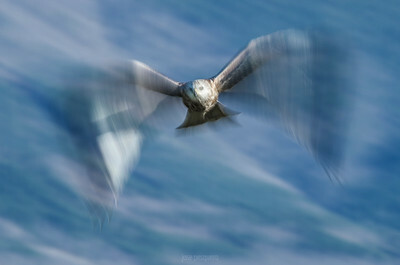 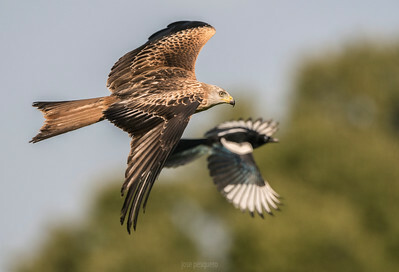 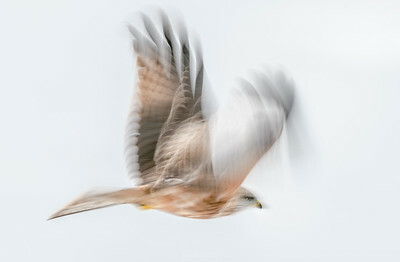 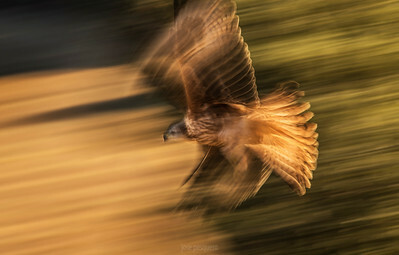 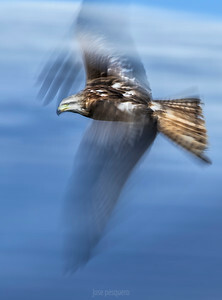 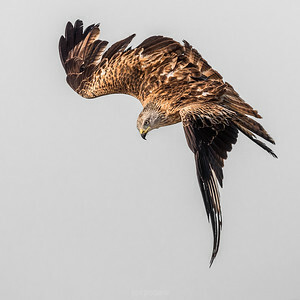 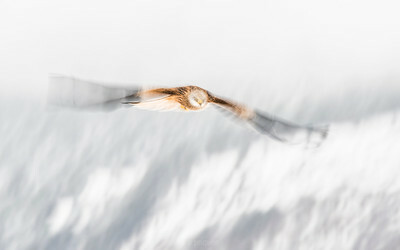 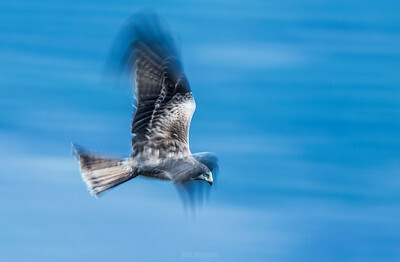 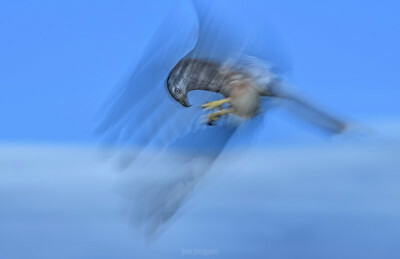 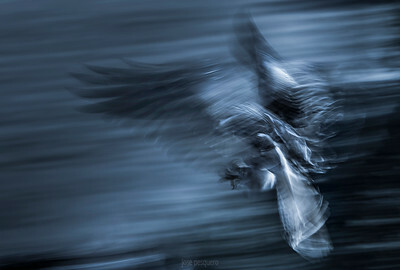 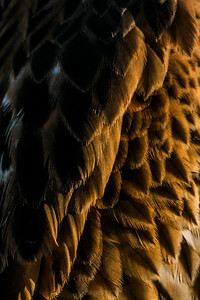 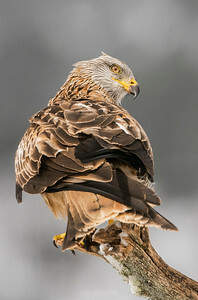 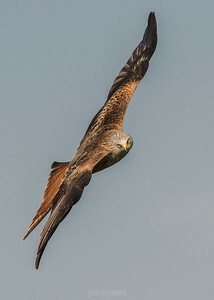 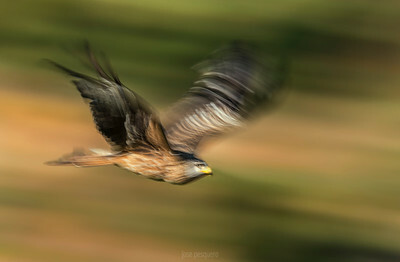 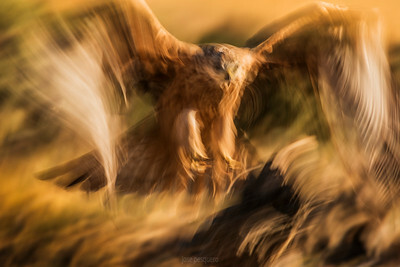 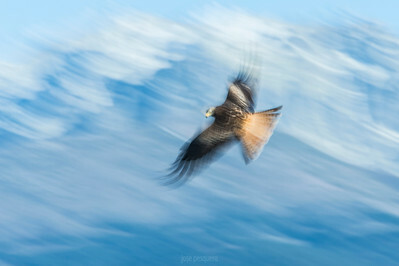 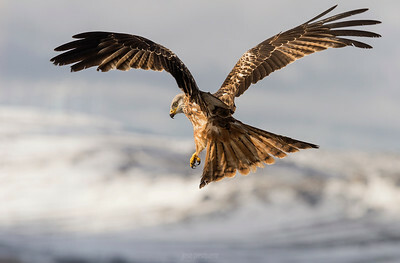 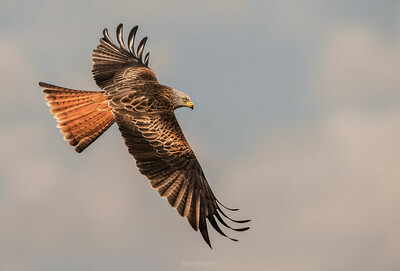 Wildlife bird images.Red Kite series. 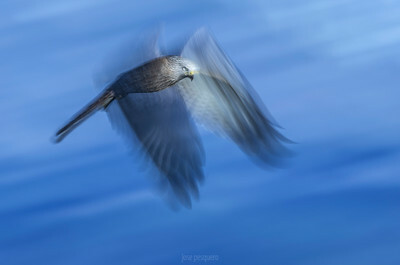 Flights.